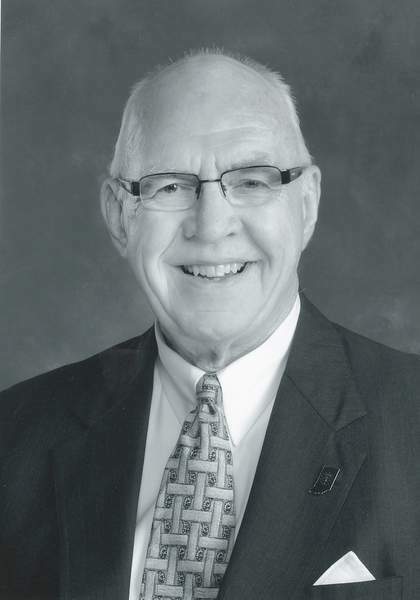 Leigh E. Morris is former mayor of La Porte. We Hoosiers are incredibly fortunate to have many capable and dedicated legislators representing us in the General Assembly. I know many of them, and I appreciate and applaud their good work. They are part-time, citizen legislators who carry out the awesome task of dealing with a myriad of important issues, not career politicians who depend on their positions for their livelihood. I've heard it said that laws are like sausage, and it's better not to see them being made. The law-making process in the General Assembly is simple. When introduced, a bill is heard for first reading. The bill is assigned to committee. The committee chairperson may choose not to schedule the bill for a hearing and the bill dies. If the bill is to advance, it must be scheduled for a public hearing. At that hearing, the committee discusses the bill, and any interested party may ask to speak to the committee in favor of or in opposition to the bill. Following this hearing, the bill can be voted on or tabled. If the bill is tabled, it may or may not come back for a vote. If it does not come back, the bill dies. If the committee casts a vote on the bill, the bill can be defeated or advance. I believe there's a flaw in that system that should be corrected. There are two opportunities for a member of the General Assembly to unilaterally prevent consideration of proposed legislation. The chairman of that committee can unilaterally refuse to allow a hearing on the bill. If that happens, the bill is dead. I believe this practice disenfranchises voters and should be challenged. • Redistricting reform: Advocates pushed for creating an independent redistricting commission instead of leaving the map-drawing up to the General Assembly. A hearing was denied for House Bill 1014 (which was even co-sponsored by the speaker of the house). • Expanded absentee voting: Senate Bill 250, which would have allowed no-fault absentee voting in Indiana, was denied because the chairman said he was unaware of any case in which Hoosiers had been denied an absentee ballot. • Dead voters: A hearing was refused for Senate Bill 155, which would have the vote of an absentee ballot count even if the voter died before Election Day. Sadly, legislation also died that would have helped modernize Indiana's creaky township government structure. HB 1005 provided for a five-year transition period for the 300 of Indiana's 1,005 townships that have fewer than 1,200 residents to develop plans for consolidating with neighboring townships to provide a larger unit to provide economies of scale. Some townships have fewer than 100 residents but still have four elected officials and must maintain the same records and fiscal structure as larger townships. There was no final vote, and the legislation died. I understand that there are typically 1,000 or so bills introduced in a legislative session, so there must be a way to weed out duplicative or self-serving proposals. One approach utilized by several other states would be a major step forward for Indiana: Require that any bill referred to a committee receive a hearing on the affirmative vote of at least a majority of committee members.